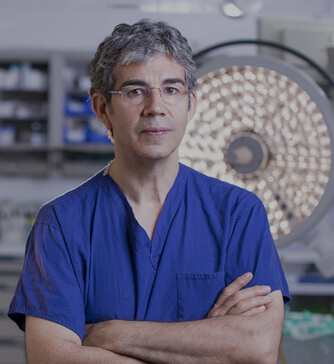 Professor David Nott has been a consultant surgeon since 1992. He works as a NHS General surgeon at Chelsea and Westminster, specialising in upper gastrointestinal laparoscopic surgery and is the main clinical lead for laparoscopic cholecystectomy. He also performs a lot of other laparoscopic general surgical operations. He is on the on-call rota for emergency surgery. Professor Nott also works as a Trauma and Vascular Surgeon at St Mary’s Hospital. He is fully trained in all aspects of arterial and venous surgery. He is the vascular surgeon to the Royal Marsden Hospital and helps all the specialist oncological surgeons perform complex cancer surgery, on gynaecological, urological and sarcoma patients.